Bittersweet Enchantment: The best of this year’s book to film adaptations! Today I bring you a fun guest post about book to film adaptations. The guest post writer wishes to remain anonymous. Enjoy! Book to film adaptations always cause a stir -When done well, movies can bring books to life, fleshing out the characters and providing new and interesting interpretations. If you’re on the lookout for new DVD releases based on your favorite books, you should have plenty of choice. This year has seen a bumper crop of films based on novels, and here are some of the best. In January 2014, ‘Labor Day’ hit the big screen. Starring Kate Winslet and Josh Brolin, it is based on a Joyce Maynard book of the same name. Directed by Jason Reitman, the movie focuses on a teenage boy and his depressed, single mother. They encounter an escaped convict, who manages to come across as both intimidating and vulnerable. Winslet is superb as the anguished mother in this unlikely tale of romance and Brolin puts in a strong performance too. 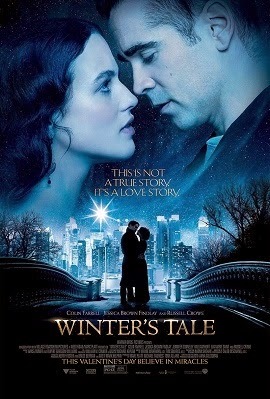 ‘Winter’s Tale’, which was released in February 2014, also received critical praise. Based on the 1983 novel by Mark Helprin, it is set in the early 1900s and centers on a gang member called Peter Lake. While burgling a house, he meets a beautiful woman. However, after falling for her, he discovers she is dying from consumption. From this point on, things take a supernatural turn. Starring Colin Farrell, Jessica Brown Findlay and Russell Crowe, the movie was directed by Akiva Goldsman. 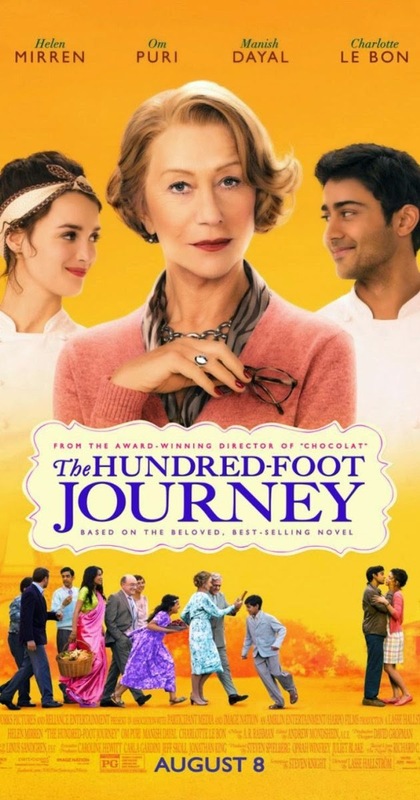 August 2014 saw the release of ‘The Hundred-Foot Journey’. Based on a book by Richard C Morais, the film follows the story of an Indian family who move to France, where they open a restaurant across the street from a Michelin-rated eatery. There then ensues a fierce rivalry between the two establishments. Starring Dame Helen Mirren and produced by Steven Spielberg and Oprah Winfrey, the movie proved a box office success. 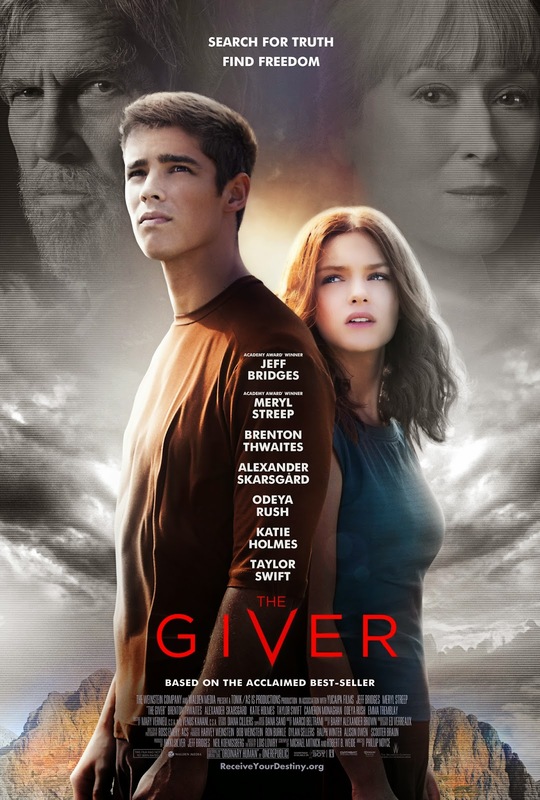 Also hitting screens in August 2014 was ‘The Giver’. Based on a 1993 children’s novel by Lois Lowry, this chilling tale is set in a society that at first appears utopian, but gradually reveals itself to be anything but - It follows a boy named Jonas, who discovers the dark truths of his community’s past. Directed by Phillip Noyce, it stars Jeff Bridges, Meryl Streep, Alexander Skarsgard and Taylor Swift. Whether you’ve read the novels on which these films are based or not, the movies are well worth a watch. There are many titles made into films each year, the big screen is your oyster, so get out there and do some research!